ALERT! 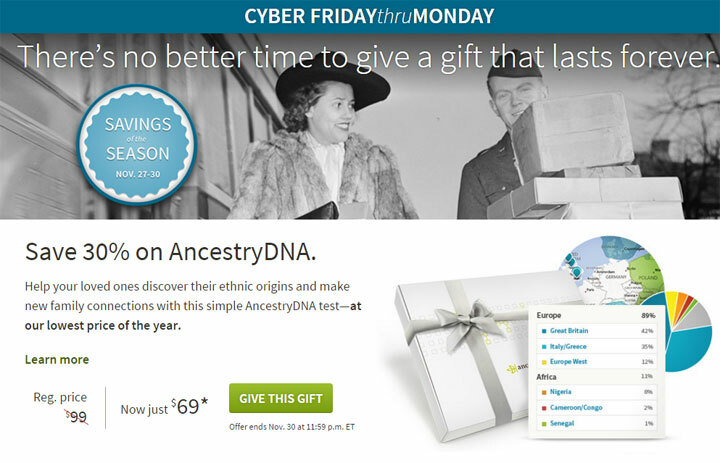 Ancestry.com DNA testing is on sale for $69 for the four days after Thanksgiving starting now. Also you can save 20% on gift memberships at Ancestry.com – scroll down that same page to see the offer. Click on it for even more membership offers.